TAMPA BAY, Fla. (WFLA) - The National Weather Service has expired the tornado warning that was previously issued for Hillsborough County. 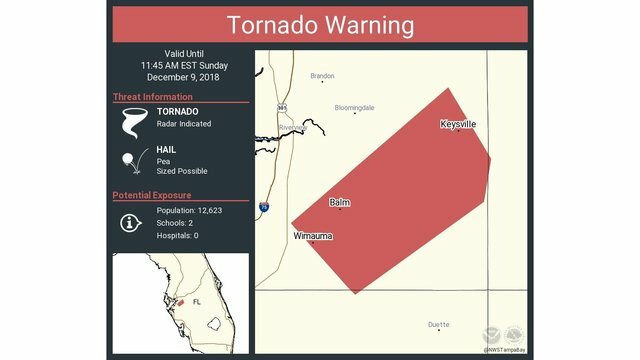 Communities that were under the warning included Wimauma, Balm and Keysville. Several Tampa Bay area counties have had severe weather warnings throughout the day Sunday. 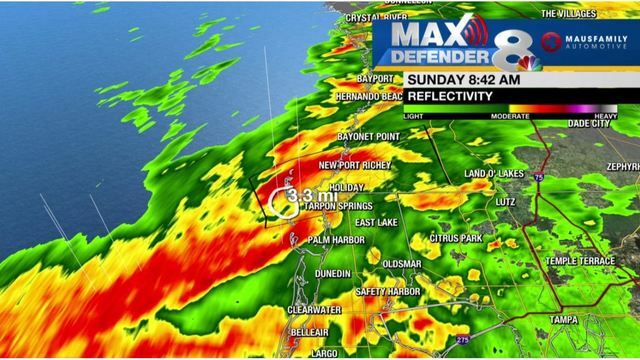 Tornado warnings were issued and later expired in Pinellas, Pasco and Hernando counties. Manatee County was under a brief severe thunderstorm warning.